I know I’m just about the last person in the world to get into the adult coloring crazy. It’s not that I have anything against coloring. It’s just that I have so many other ways that I want to spend my free time and other things that relax me (like wine). But when I saw today that Affiliate Summit was giving away a free affiliate coloring book, I thought it was time to give it a try. 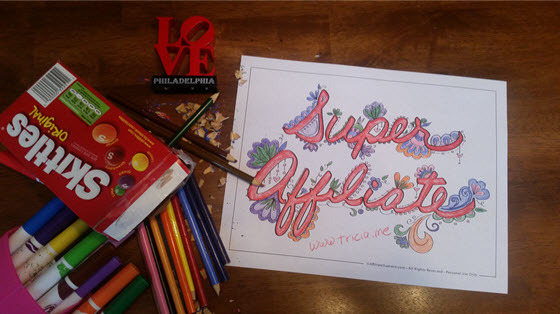 I ended up with “Super Affiliate”–a term I have never once called myself because I’m not even sure what it means. But I thought it might be inspirational to me. That’s where things got tricky. I had no idea what to color it with. We are remodeling our basement, so we threw out all of the kids’ old stuff. I texted my daughter in high school to see if she had any colored pencils at home and she replied they were in a Skittles box. Of course, because that’s totally normal. I found the Skittles box and noticed that the pencils were all in pretty bad shape–none were sharpened. I figured I would try the other daughter’s desk. I didn’t find any pencils, but I did find a sharpener. Ironically, it was a “Philadelphia Love” sharpener that I picked up for her at Affiliate Summit East one year. I need sharp pencils! Let’s get these things sharpened up. Why are they so hard to sharpen? These pencils are crap. But they are Crayola! Isn’t that supposed to be good? Maybe it is the sharpener. My kids deserve better pencils than this. How do they even use them?? Is this supposed to be relaxing? What should I think about? Oh! I know…a blog post. I’ll think about writing a blog post about coloring. When did my kids stop coloring? They used to color a LOT. I think I kind of liked it. This isn’t so bad. I kind of like it. I can see how it would be relaxing. As long as it doesn’t take me too long. I don’t want this to take too long. These pencils are total crap. I’m only using like 5 colors because I don’t have time to figure out how to sharpen any more of them. And why is this one sharpened on both ends?? I think my hand is cramping. It’s a good thing this isn’t a coloring contest. I would totally lose. Well, I might not lose. But Jen Goode would win. Or Shannon Weidemann. They are both really good at coloring on Instagram. I’m making such a mess with these pencil shavings. I should have done it over the trashcan. I’m such a boring colorer. (is that a word?) Look at me just coloring in the lines. Dang it! I got outside the lines!! Well, I’m not starting over now. Look at me getting fancy! I pushed hard with the purple to make it dark and then did it really lightly to make lavender. I’m totally getting the hang of this coloring thing. What am I going to do with this when it is done? Hang it on the refrigerator? Maybe I’ll Instagram it….yeah. I’ll Instagram it. Wow! Taking a break from my computer has been nice. But my hand is cramping again. Like “writing thank you cards” cramping. I need to use a pen more often. Whew! Done. That took longer than I thought it would. I wonder how many messages are in my Inbox now? So as you can see, the coloring DID give me a little bit of time to think. And get away from the computer. And realize that my kids’ pencils are crappy. Will I color again? Not until I get them some better pencils. Am I glad I did it? Absolutely. A few minutes of stirring up creativity is necessary when you sit at a keyboard all day. Thanks to Affiliate Summit for the pages and the excuse!! Are you an adult who has rediscovered coloring? If you are like me, you probably spent the last 3 months in a blur of Halloween costumes, Black Friday promotions, and too many cookies. January seemed so far away. The good news is that you made it through Q4. The bad news is that we are already almost a week into January and you are probably not yet ready for Affiliate Summit. Here are some last minute ideas to help you get ready if you are planning on attending. Even if you are not attending, some of these tips will come in handy. 1. Check your stock of business cards. Worst-case scenario you can use Staples Copy & Print service to get some made same day. They don’t have to be fancy, but you need to have business cards. I am always amazed at the people who come without business cards and then try to write their info on someone else’s card or use plain paper. I just heard that Affiliate Summit has lowered the price of their VIP passes for Affiliate Summit West by $300 through October 23. I didn’t even believe it until I went to the site myself and checked out all of the pass types and read the fine print. You can now get a VIP pass for $579 if you get the newly discounted Early Bird price. 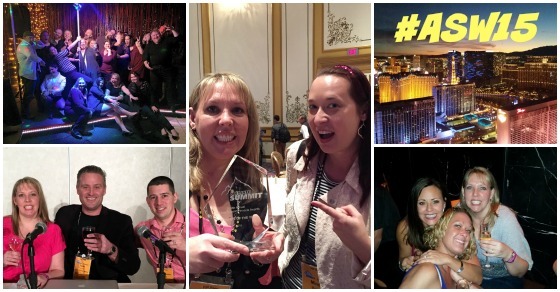 I have only ever attended one Affiliate Summit where I didn’t have a VIP pass–my first. And it was essentially because I didn’t know any better and the conference was so different back then. Yes, I often get a free pass for being a speaker or being on the Advisory Board. But even when I take employees with me, I always buy them the VIP pass. Why? Second: I want to be able to attend any sessions that look good to me and take advantage of the different one-on-one and small group opportunities that are usually available only for VIP pass holders. You never know from one conference to the next if these opportunities will be the ones where you learn the most the fastest, but they usually are. You will get access to every single session plus the videos afterward. Third: If you are a first time attendee, the Newcomer Program is like getting asked to the Homecoming Dance. It’s your chance to be paired up with someone who can introduce you to other people and help you learn the ropes so that you will make the most of the conference. I hear so many people say that the conference is “overwhelming,” and it is. But if you don’t take advantage of the Newcomer Program, you are missing out on your best chance to not only meet an industry veteran but have someone give you all of the small details you need to know both before and during the conference. If you have always wanted to attend Affiliate Summit and have a way of getting there in January in Las Vegas, this is the pass you need to get and the time that you need to get it. If you do a search on my blog, you will see me talking about Affiliate Summit ALL THE TIME. What I learned, what I taught others, what I hope to get out of the next one, who I met, how my business changed. Even when I’m not “selling it,” I’m selling it. I feel strongly in always attending myself and recommending it to new people. So there it is…this crazy price break. Head over to the Affiliate Summit site and see if it’s something you want to do in January. And if you end up deciding to go, let me know and I will see you there! I’m just now getting around to writing my wrap-up from Affiliate Summit West because so many exciting things happened there and shortly after! I went into the conference with the goal of treating it like it was my first time, and in many ways I achieved that. I attended sessions, made new friends, and even checked out the entire Exhibit Hall and Meet Market. Although there were a lot of highlights for me, here are 8 things that I was glad that I didn’t miss but some of you might have. Affiliate Karaoke: Although it was not an official even this time (anyone want to be a sponsor in New York?? ), Nathan Smith found us an amazing little dive bar to get cheap drinks, dance, and sing karaoke. We had a fun group of bloggers, merchants, and OPMs. Some of us knew we were looking for it in advance and others just saw us talking about it on Twitter. It pays to follow conference hashtags on Twitter if you are looking for something fun to do! My session with Eric and Todd: I was lucky enough to give a presentation with Eric Nagel and Todd Farmer about our site WineClubGroup.com. We didn’t hold anything back. We showed our analytics, our revenue, how we find merchants, and everything that has made the site successful. I’m disappointed that more bloggers didn’t show up because we really did share a lot of our tips and tricks. You can still download our Resource Guide if you missed it. Meeting Kozzi in the Meet Market: I promised myself that I was going to make a real effort to visit all of the Exhibits this time, and I did. Finding friends and current partners is nice, but finding NEW partners is a real bonus. If you didn’t make it to the back of the Meet Market to talk to Kozzi, you missed out. 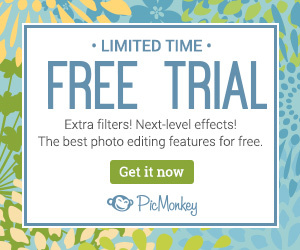 They are a stock photo provider with AMAZING deals for both people buying stock photos and affiliates who want to promote the program. If you have any interest in stock photos at all, you should check out the Kozzi Affiliate program. Affiliate Legal Issues Session: As an affiliate and a lawyer, this session was totally up my alley. But even if you are not a lawyer, you need to understand things like nexus legislation and FTC disclosure requirements. Sam Engel, Gary Kibel, Carolyn Kmet, and Gerri-Lynn Becker did a great job of giving information about various legal issues that can threaten your business as an affiliate or a merchant. If you are not paying attention to these, you may find yourself on the wrong side of a lawsuit. PMA CEO & Founder Event: The Performance Marketing Association put on a terrific cocktail party where members and others interested in joining could chat about industry issues and the part that the PMA is playing. It was great seeing so much support for the organization and getting a chance to share the wonderful things that the organization has done this year. If you are reading this and are not a member, you need to find out how to become one. ASW Speaker Event: Being a speaker has its perks, besides the free pass. This year we were invited to a networking event on the High Roller, which is like a great big enclosed Ferris Wheel. I was incredibly nervous about getting on it and my friends did their best to make me think we were going to fall to our deaths (or at least into the safety net below it). Despite that, it was a nice opportunity to chat with other speakers before the conference started and take in AMAZING views of Las Vegas. Thanks to Shawn and Missy for treating their speakers! Pinnacle Awards: I was not really looking forward to the Pinnacle Awards because I had become a perennial loser and it is kind of embarrassing to sit there with my friends and lose every year. But it IS an honor to be a finalist even if you don’t win. I was absolutely floored when I found out that I won Affiliate of the Year! It was a moment that I will never forget. And I was incredibly excited for fellow winners Joe Sousa, Brian Littleton, FMTC, and Acceleration Partners. There’s a lot of other stuff that happened that was important to me but wouldn’t be important to you (including quality time with some of the people that I treasure most in this world–you know who you are!). I’ll spare you the personal details. Did you attend any of these events? Was there something you did that *I* missed that I need to do next time? This weekend Affiliate Summit will be held in Las Vegas. I can’t remember how many Affiliate Summits this is for me…maybe 17? I’ve written so much about Affiliate Summit that it has its own category on my blog! 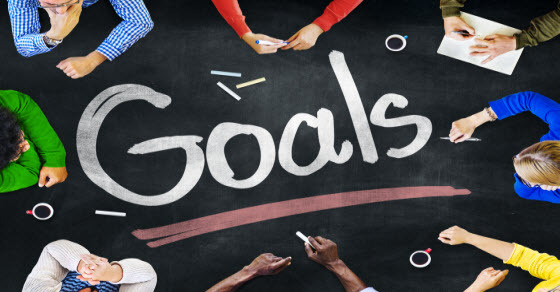 Each time I try to set specific goals for what I want to get out of it (see What’s Your Plan for Affiliate Summit). Early on I focused on getting as much as I could from Affiliate Summit as fast as I could, including education and networking. As the years went on I focused more on using my time there to build my own brand and credibility. My days were planned down to the minute including meetings with both new and old partners. There was little time allotted to just absorbing what was around me. Attend sessions. That seems like a no-brainer, right? Nope. Every year I end up saying that I can skip the sessions and watch them on video. But then I never get around to it. 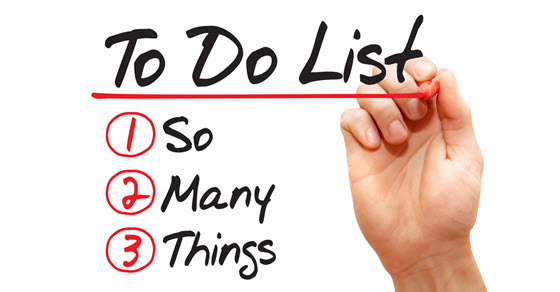 This year I am going to prioritize some of the sessions I want to attend, block them on my calendar, and make the most of them. There are some INCREDIBLE speakers that I know will help me make my business better. Leave open meeting spaces. I have a tendency to say “yes” to everyone who wants to meet with me, even if I think there is no potential for us to work together. I end up doing a whole slew of meetings basically just because other people want me to. When I meet someone new at the conference and they want to chat for a bit, I have no time because I have prescheduled it all. This time, I am intentionally blocking out spaces in the schedule to give me time to talk to new people. Visit booths. Again, this is something you would think I regularly do. In reality, I have gotten into the habit of quickly running in and out of the Meet Market and Exhibit Hall and only visiting friends or current business partners. I forget that the people I met in the Exhibit Hall at my first Affiliate Summit in Orlando helped me triple my business in one month. Introduce myself to new people. It’s easy to get into a rut of only talking to my friends. Or even sitting at a table and waiting to see if anyone new is looking for someone to talk to. I’m going to be sure to go out of my way to introduce myself to people I haven’t met. Those all seem so basic and yet I feel like I have not done nearly enough of them the last few years. While I have your attention, there’s just one more thing I want to throw out there. We’ll be sharing secret tricks and giving actual numbers of how we went from an idea at Affiliate Summit to a site that profited over $10,000 just last month. The presentation itself is almost all images showing search terms, analytics, merchant research, etc. At the end we will be sharing a Resource Guide that lists all of the tools and services that we have used to build the site and make it successful. I’m really looking forward to sharing it all because I think a lot of people can learn from what we did right AND what we did wrong. And there’s no hype. We’re not saying everyone can make $10K a month doing exactly what we did. But we’re showing how to build a legitimate content-based website that can make you residual income over time. So that’s it…time for me to get packing! I’m drinking my Emergen-C every day, counting my business cards, and loading up blog posts to go out while I am gone. 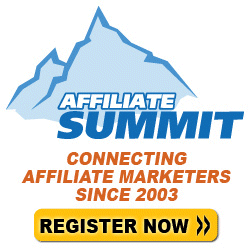 Will I see you at Affiliate Summit? How is your plan the same or different than mine?